These cigars are highly addictive and perfect for entertaining snacks as they can be made ahead and frozen before baking. Combine the garlic, olive oil, lemon, herbs, cumin, haloumi and black pepper. 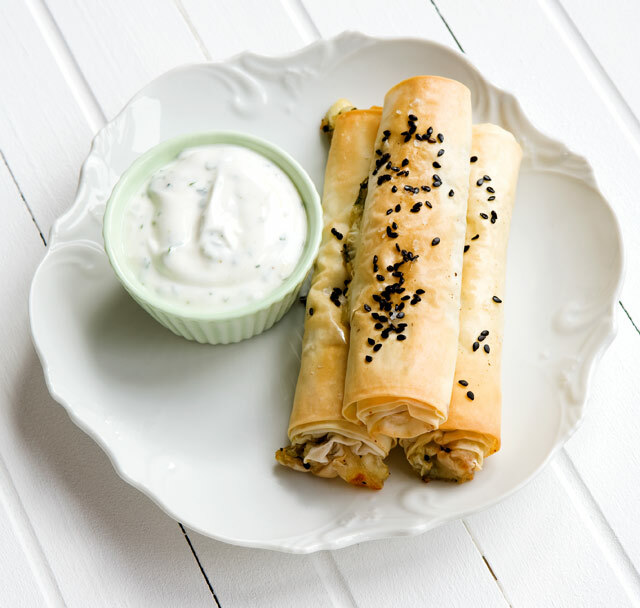 Working with 2 sheets of phyllo at a time, brush one with olive oil, sandwich together, spoon some of the filling along one edge, fold in the edges and roll up to form a cigar. Brush with olive oil, arrange on a baking sheet and bake at 200°C until golden. Serve with herbed yoghurt as a dipping sauce. Phyllo pastry is very delicate and dries out easily. Follow these tips for recipe success. Step 1 Prepare the filling before you start. 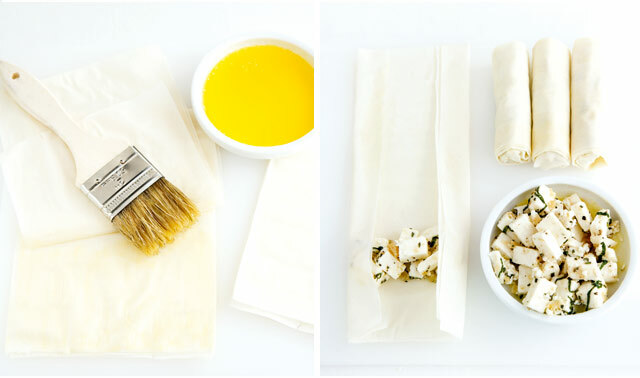 Cover the phyllo with baking paper then a damp tea towel. This prevents the phyllo from drying out. Step 2 Brush the sheets with melted butter or olive oil and layer a few on top of each other. This makes the pastry flaky. Step 3 Cut strips of the pastry to the desired width and place a little filling on the end. Fold in the edges and roll up. Secure the end by brushing with butter.